ATAG has been designing and manufacturing boilers for nearly 70 years. Led by an ambitious research and development team in the Netherlands, the brand take great pride in the energy efficiency and reliability of their boilers. All ATAG domestic boilers have the highest possible rating for energy efficiency and have been designed to be as compact as possible. In fact, ATAG are so confident in the quality of their boilers that they offer an impressive 10 year warranty with a lifetime guarantee on their iCon heat exchanger. It’s also reassuring to know that ATAG are committed to the safety of your boiler and so will only sell via pre-approved, Gas Safe registered engineers which they call their ATAG Selected Partners. An investment in an ATAG boiler is a wise one, so if you the peace of mind that comes with a 10 year warranty sounds good to you, send us an enquiry today. Complete one simple form and we’ll put you in touch with up to 3 Gas Safe engineers to provide quotes for an ATAG boiler. ATAG design and manufacture a range of gas boilers including two types of Combi boiler, a System boiler and a Regular boiler, all in a variety of sizes. ATAG also supply a vented and unvented cylinders to be used in conjunction with their system and regular boilers as well as a range of both mechanical and digital controllers. There are two Combi boilers by ATAG: the iC Combination boiler and the iC Economiser Combination boiler. The iC Combination boiler is a compact and highly energy efficient model which is available in a range of sizes to suit any size of home. 40kW: 16.2 litres flow rate per minute. Suitable for large homes with more than one bathroom. 36kW: 14.9 litres flow rate per minute. Suitable for medium to large homes with more than one bathroom. 28kW: 11.5 litres flow rate per minute. Suitable for small and medium homes with one bathroom. 24kW: 10.1 litres flow rate per minute. Suitable for flats or small homes with one bathroom. The iC Economiser is ATAG’s most recent design which includes their patented Economiser; this technology recycles residual heat that would otherwise be lost as wasted energy and puts it to use, resulting in their most energy efficient boiler to date. 39kW: 17.0 litres flow rate per minute. Suitable for large homes with more than one bathroom. 35kW: 16.1 litres flow rate per minute. Suitable for medium to large homes with more than one bathroom. 27kW: 12.6 litres flow rate per minute. Suitable for small to medium sized homes. All ATAG iC combination boilers deliver hot water flow rates in litres per minute @ 35°C rise. 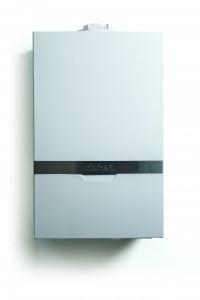 The ATAG Combi boilers have been manufactured to the highest standard using the latest energy efficient technology. They produce boilers for small, medium and large sized homes with a 10 year warranty included as standard. A system boiler will heat your hot water for both your heating system and to be stored in a hot water storage cylinder for your taps and showers. The inclusion of the storage cylinder means you keep a backup of hot water which is perfect for homes with a high demand or multiple bathrooms. ATAG recommend their iSteel hot water cylinder for maximum energy efficiency. ATAG iS system boilers are highly energy efficient and available in a range of outputs: 40kW, 32kW, 24kW, 18kW, 15kW. This means small, medium and large homes will find an appropriate model regardless of hot water demand. ATAG claim that their system boilers have an edge over most competitors because of the in-built ErP pump. This provides more control over the heat produced by your boiler which improves the energy efficiency of the operation. Rather than replacing an entire heating system you may choose to simply update your Regular boiler with a condensing and highly energy efficient model. This means you will keep the cold water tank in your loft and hot water storage cylinder. iR Regular boilers can be combined with ATAG’s iSteel hot water cylinders for maximum energy efficiency. ATAG produce the iR Regular boiler in a range of sizes to suit homes of every size and hot water demand: 40kW, 32kW, 24kW, 18kW, 15kW. They offer a wide range of flue options which means you can be flexible about where the boiler is sited. It’s important to keep your boiler in the best possible condition with an annual boiler service by a professional engineer. This will ensure the boiler can operate as efficiently as possible, keeping heating bills to a minimum, and that there are no potential safety issues to be concerned about. A boiler service is also a great way to catch and fix small repairs before they have the chance to worsen over time and cause an expensive breakdown. Find out what’s involved in an annual boiler service, why it’s so important, the benefits and how much they cost in ATAG Boiler Service. Every boiler manufacturer offers a standard warranty with their boilers which last between 1-10 years. The warranty is your insurance policy and means if a fault develops the manufacturer will resolve it within a specified time frame. Some warranties include both parts and labour while others may only cover parts. The most important thing to remember is to get your boiler serviced by a Gas Safe registered engineer every year as failing to do so is likely to invalidate your warranty. For more detail about this brand’s warranty (including the small print) take a look at ATAG Boiler Warranty. Even the highest quality boiler can develop faults and problems as they age. Some are minor issues you may be able to handle yourself but most will need a Gas Safe registered engineer to diagnose and repair the problem. To find out if there are any common problems associated with this manufacturer you can read our guide to ATAG Boiler Repairs & Common ATAG Boiler Problems. Error codes may appear on your boiler’s display; it’s your boiler’s way of telling you that something is wrong. Each manufacturer uses a different coding system to help an engineer to diagnose a fault. In some cases it may be a simple issue such as low pressure which you can adjust yourself but more technical faults will certainly need a professional. We’ve put together a list of error codes for all ATAG Boilers to help you understand what’s wrong before you contact an engineer. This thermostat enables you to control the temperature in your home remotely using the ATAG One App on a smart device. This control comes with a receiver to fit in the front fascia panel and provides on/off time setting periods throughout the day with full temperature control. It is compatible with the iC Economiser Plus combi and iC combination boiler ranges. This control enables the customer to select their perfect room temperature with multiple on/off settings across a 24-hour period. It is compatible with the iC Economiser Plus combi and iC combination boiler ranges. This manual control is compatible with the iC Economiser Plus combi and iC combination boiler ranges and enables multiple on/ off settings across a 24-hour period.